Hurricane Sandy has come down hard on the Caribbean islands. 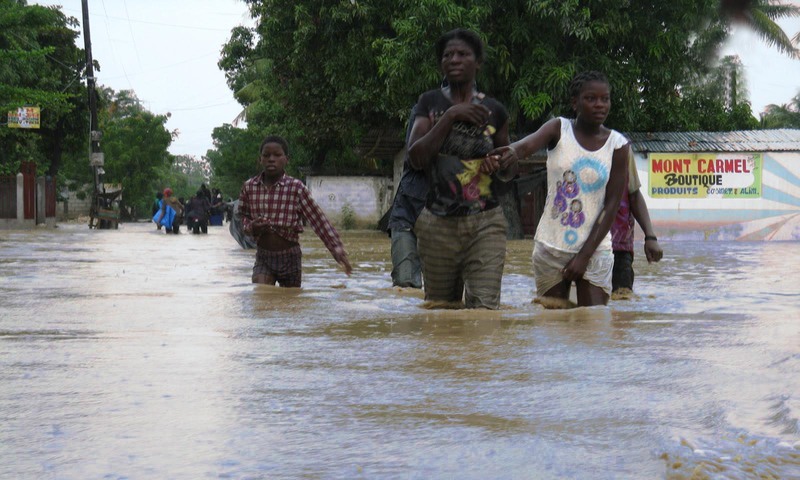 Haiti fortunately was not directly in the hurricane’s path, but nevertheless suffered flash floods across much of the country’s south. 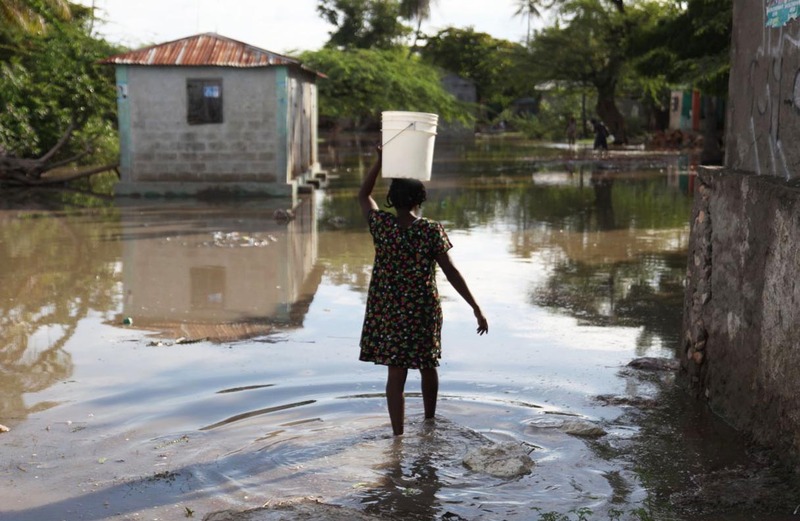 Haiti is an ecological disaster zone where even minor storms can send water gushing down deforested hills, it is also a social disaster zone with 370,000 survivors of the January 2010 earthquake still living in makeshift homes and tents. The authorities have stated that they will clear the temporary camps of earthquake victims in the next month and forced evictions are already continuously administrated, but there is still no housing plan and no investment in infrastructure and new residential areas. The country is also stricken by an ongoing Cholera epidemic (caused by Nepalese UN soldiers) which until now has killed 7,400 Haitians and sickened 600,000. The epidemic is feared to get worse because Cholera bacteria can spread quickly in contaminated water. 160 new cases have been reported since the storm passed by. 60 Haitians died and 20,000 have been made homeless by the storm. 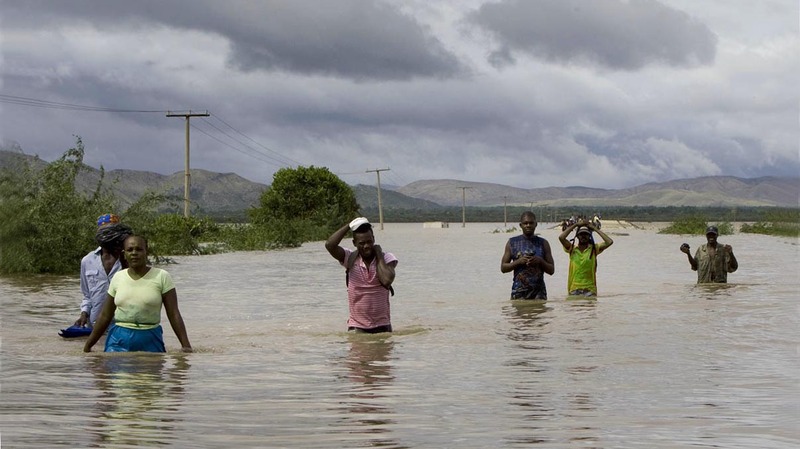 A dozen bridges and crucial roads were washed away and there is extensive damage to crops (bananas, plantains, maize) in the south of the country, where most rivers burst their banks, flooding fields and plantations. Rising food prices have already triggered demonstrations and strikes in the last month and the excessive agricultural damages raise the likelihood of a severe food crisis and increased social unrest. According to a UN Human Development Report from November 2011 Haiti has an index number of 0.454, the lowest of all American nations. Cuba has a rather high index number of 0.776, which ranks the country in the upper third of the field and surprisingly above Russia, Costa Rica, Saudi Arabia, Kuwait, to name just a few of the lower rated nations. This huge difference between the wellbeing of Haitians and the wellbeing of Cubans is even more astonishing when one takes into account, that Haiti since decades is carefully guided and controlled by the USA, which for example instantly sent 22,000 soldiers after the devastating earthquake to prevent a takeover by Aristide supporters and also organized carefully choreographed US-style elections, where Aristides party was banned. Parallel to the political guidance Bill Clinton and numerous US based NGOs (for instance Wyclef Jean’s Yele) have done their best to improve the industrial infrastructure and make Haiti attractive (investment-friendly) for companies inclined to move their sweatshops nearer to US shores. The showcase project of this development plan is the Caracol Industrial Park, built with 180 million dollars from the US government and the Inter-American Development Bank. Cuba in comparison has been for 50 years subjected to a strict trade embargo by the USA. Cuba’s economy is state controlled with only limited free markets, there are no big corporations and no US-style elections. According to neoclassical economics this should be a perfect recipe for disaster. And yet, most social indicators place Cuba above the Latin American average and high above Haiti, in some areas (for instance the health care sector) Cuba tops the USA. This is not the place to discuss the stunning discrepancy between neoclassical economic theory and Cuban reality. Maybe economic experts from US media corporations can gat a handle on this and find satisfactory (or at least logical sounding) explanations. 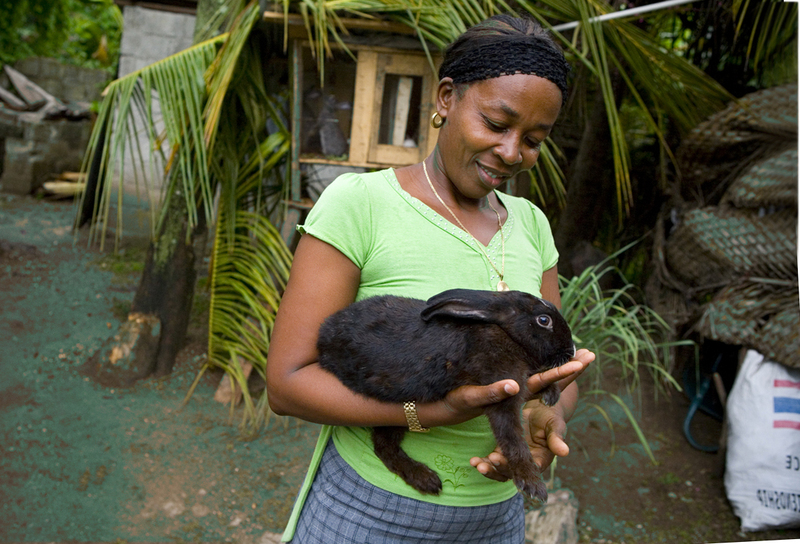 Cuba was not as lucky as Haiti and bore the full brunt of the hurricane. 11 Cubans have died, it was the deadliest storm since 2005. 40,000 houses are destroyed and 160,000 more badly damaged. Coffee crops were severely decimated and processing centers devastated, it is assumed that coffee production will be under 4,000 tons, the lowest harvest in more than a century. Sugar cane was also flattened or flooded, approximately half of standing sugar cane is affected. It is too early still to take stock but the financial damage is estimated to be at least 2.4 billion US$, a heavy toll for a small and isolated country under siege. The eastern provinces of Santiago de Cuba, Villa Clara, Sancti Spiritus, and Ciego de Avila are most affected, but Holguin, Guantanamo, and Las Tunas also see large scale destruction. Cuba’s second-largest city Santiago was hardest hit and left without electricity and running water for half a week. Several churches collapsed and all churches suffered considerable damage, including the Santiago cathedral as well as one of the holiest sites in Cuba, the Sanctuary of the Virgin del Cobre. The storm blew out its artful stained glass windows and damaged even the massive doors. The telephone lines to around 40,000 customers were damaged, with more than 2,400 poles broken. 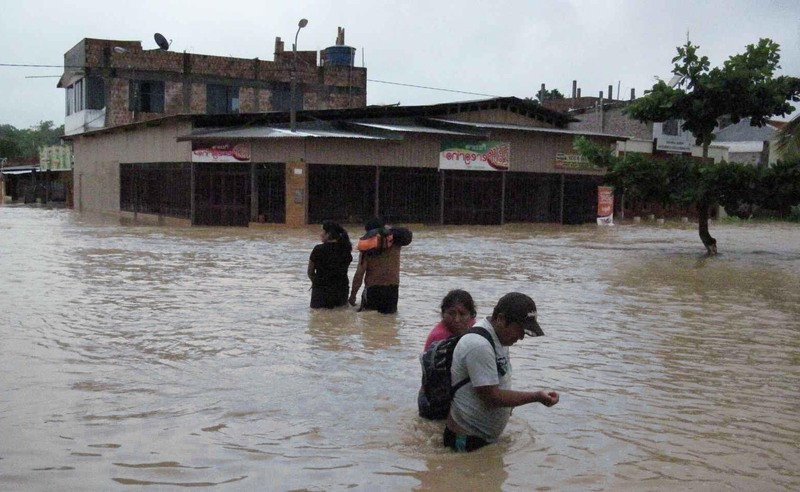 Right now residents and solidarity brigades from all over the country are intensifying recovery efforts, clearing roads, restoring transportation, electricity, and telephone services. Bus transportation and domestic flights are already restored. Sound trucks cruise the streets urging people to boil drinking water to prevent the spread of infectious diseases. Soldiers and youth groups work to remove rubble and downed trees from the streets. Local authorities have set up radios and TVs in public spaces to keep people up to date on relief efforts. The authorities have also distributed chlorine to sterilize water and prioritized electrical service to essential users like hospitals and bakeries. Farmers try frantically to drain plantations and salvage as much crops as possible. Venezuela, which has always been in the forefront of caribbean disaster relief, has already brought 600 tons of aid on the way to both Cuba and Haiti, including nonperishable food, drinking water and heavy machinery. An airlift will operate for at least one week to transfer humanitarian assistance to both countries. The first C-130 aircraft from the Venezuela Air Force with 14 tons of food has already landed in Santiago de Cuba and several ships have left Venezuela in direction of Cuba and Haiti. Bolivia pledged 120 tons of humanitarian aid, a shipment with 60 tons will be sent on Saturday. Russia also announced an air transport with basic goods and later on will send construction materials to Cuba to restore houses and other facilities destroyed by the hurricane. The Cuban expatriate community in Miami has offered well-meant advice, proposing for instance reduced custom duties for food imports, reduced taxes on small businesses, and allowing privately run relief organizations to supplement government efforts. The expatriates insist, that a free market-oriented policy would have greatly reduced the storm damage and would enable a faster emergency response. The response to hurricane Sandy in the USA itself though until now has gone in a completely different direction. President Obama has already pledged federal aid for storm affected areas, which means that precious taxpayer money will be used for tasks, that could as well be done by private enterprises. It is estimated that FEMA (Federal Emergency Management Agency) has up to 7.6 billion US$ at its disposal and that the US Congress can make a further 7.8 billion US$ available without the need to pass additional legislation. Federal disaster relief is in fact a socialist approach unworthy of an advanced free market society. A much more appropriate concept would be the dissolution or privatization of FEMA, which could be bought/replaced by the insurance industry (such a move is indeed seriously considered by US politicians all over the political spectrum). Every individual would be free to buy disaster relief insurance from the cheapest provider, the government would not be involved and would not have to spend tax payers money in case of an emergency. The widespread privatization of fire departments and police across the USA has shown that emergency services can be successfully taken over by private firms. Another promising scheme would be the backup of disaster loan programs by federal loan guaranties, which would enable the banks to lend money to disaster victims. This scheme would provide the victims with the necessary funds to rebuild their lives and the banks with healthy profits from a huge number of risk-free longterm loans. It would be win-win-win-win for the banks. All this measures would provide unbureaucratic, fast, and efficient solutions with the additional effect that society in the long run would be purged from unproductive elements (uneducated, disabled, dropouts), leading consequently to a more healthy system where everybody could unhindered pursue the ultimate goal of higher profits. In the end, aren’t higher profits, what makes life worth living? Isn’t this the defining characteristic of a free market society? Higher profits, this is what makes America great and one has to remind oneself again and again that not by accident it was already stated in the US Declaration of Independence, that among the unalienable rights are life, liberty and the pursuit of happiness of the shareholders.